E analogiche Nikon. Canon SONY. 4,00 CONTRASSEGNO. VENDIAMO ANCHE ALL'INGROSSO CONTATTATECI PER PREVENTIVI PERSONALIZZATI. Mini Livella a bolla trasparente Fluo. dell'innesto a slitta del Flash. E analogiche Nikon. Canon SONY. Dai un'occhiata alle mie inserzioni ! 4,00 CONTRASSEGNO. VENDIAMO ANCHE ALL'INGROSSO CONTATTATECI PER PREVENTIVI PERSONALIZZATI. Flecta GL1B universal. 5 Blitzlampen. Verbindungskabel aus einem alten Lagerbestand. 9x Revue Blitzwürfel Typ "N". Der Blitzwürfel "N" benötigt eine Batterie zur Zündung. 204 Full CTO - Converts 6500K to tungsten light 3200K. 205 1/2 CTO - Converts 6500K to tungsten light 3800K. 206 1/4 CTO - Converts 6500K to tungsten light 4600K. 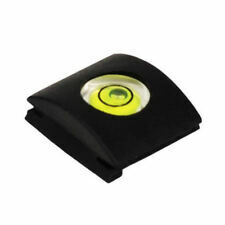 LEE Color Gel Filters for lighting effects and color correction. Funge da coprislitta cosi' potrete proteggere da polvere e urti accidentali la slitta flash della vostra reflex. Bolla per reflex, con in piu' funzione coprislitta. Ideale per qualsiasi reflex, ha una doppia funzione. The LensBand is a unique solution to an age old problem. When using zoom lenses, especially extra long zooms, there is often a tendency for the lens barrel to "creep", i.e. extend due to its own weight when pointed either upward or downward. 6x Blitzwürfel Typ "X". Der Blitzwürfel "X" benötigt keine Batterie zur Zündung. 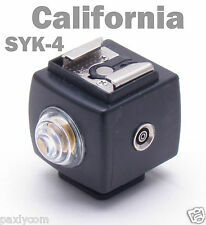 The part is nothing special - but it saves damaging the socket, so in theory save you money in repair costs. REVUE Blitzlampen EB1B BLAU #2506. Oktober bis 4. Sie können gerne bei mir einkaufen, ab 5. Fits Canon MR14 and MT24 Series Ringlite flashguns. Genuine Canon 58mm ML Macrolite Adapter 58C - 58mm unused in bag. other canon sizes are 52mm, 58mm, 67mm and 72mm. 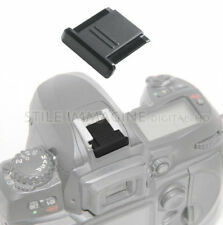 Fits into space on the rear of T20 flash, double sided for manual operation or auto operation on OM-2 on opposite side. 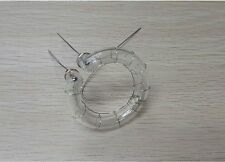 Heavy duty coiled cable with AC and standard PC male flash connections. Coiled and relaxed 60cm. Rest of World. Drei ungebrauchte Blitzwürfel MAGICUBES X. NEU mit Lagerspuren. SYLVANIA MADE IN BELGIUM / Belgien. Jede Blitzbirne in der Leiste ist nur einmal verwendbar - also 10 mal Blitzen und das war`s. 10 Stück PORST Blitzlämpchen Flashbulbs. 10 PORST flashbulbs. NEU / nur sehr leichte Lagerspuren. 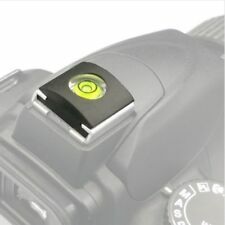 Mit dem Adapter verbinden Sie das Blitzgerät über ein optionales Olympus Autocord T Kabel und T20 TTL Auto Connector. Olympus Blitzadapter zur Entfesselung eines Blitzgerätes passend zur Olympus OM-2. Agfa ISI Blitzgerät mit 6 dazu passenden Blitzlampen. REVUE Blitzlampen Nr. 2506 EB 1B blau. Blitzlampen unbenutzt. Dort finden Sie weiteres Fotozubehör. SELTEN / RARE. NEU / Lagerspuren. NEU / Lagerspuren. mit Bedienungsanleitung! 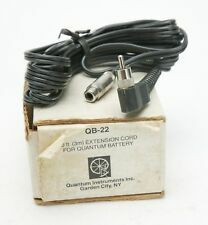 Mit dem Adapter verbinden Sie das Blitzgerät über ein optionales Olympus Autocord T Kabel und TTL Auto Connector (shoe 3 für OM-2 / shoe 4 für OM-2n und OM-1n). Olympus Blitzadapter zur Entfesselung passend zum Olympus T20 und andere kompatible TTL-fähige Blitzgeräte. A single PC socket is provide for connection to the flash sync lead. Drei ungebrauchte Blitzwürfel FLASHCUBES. SYLVANIA Belgium/Belgien. These panel filters attach to the front of the Vivitar 283 flashgun and provide extra coverage over the standard head, via adaptors for use with lenses of focal length 28mm, 70mm and 135mm. 3 x Flash filter panels together with original user sheet, carried in a soft plastic wallet. Requires 4 AA batteries (not included). 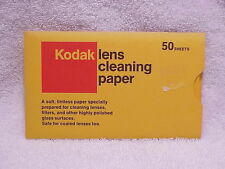 The quality is surprisingly good and I use them with my own Vivitar 283/285's. NiMH cells work fine! NEU / nur sehr leichte Lagerspuren. 5 Stück atlas Flashbulbs AG 3B Blue Dot. 5 atlas flashbulbs AG 3B Blue Dot. Made in GB. NEU / nur sehr leichte Lagerspuren. 10 Stück atlas Flashbulbs 1B Blue Dot. 10 atlas flashbulbs 1B Blue Dot. Made in GB. 10 Stück SYLVANIA weiße Blitzbirnen / Flashbulbs AG 1. NEU / nur sehr leichte Lagerspuren. 10 SYLVANIA clear flashbulbs. 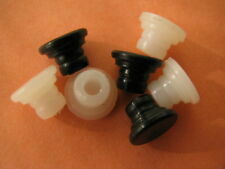 •Screw Mount: 1/4", 3/8" thread. 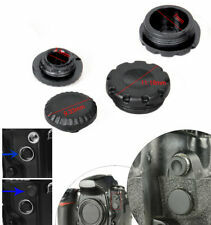 •1x Mini Ball Head with hotshoe. •Head Height: About 6.5 cm. Only the closest inspections will reveal slight wear. Perfect glass, but the box and accessories are usually not included. Up for sale at KEH is thisCanon Mini Stand For Shoe Flash. Compatibility: Shoe Flash. 10 Stück SYLVANIA Flashbulbs FB1 Blue Dot. 10 SYLVANIA Flashbulbs FB1 Blue Dot. Very nice original wrapped NEW condition, with very little wear. Oktober bis 4. Sie können gerne bei mir einkaufen, ab 5. 5 Stück Rhaco Universal Blitzlampen RO 1B Blue Dot. 5 Rhaco Flashbulbs RO 1B Blue Dot. Oktober bis 4. Sie können gerne bei mir einkaufen, ab 5. 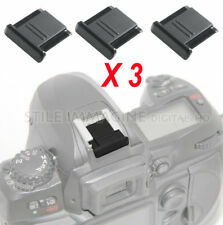 Sunpak Filter Kit (9) For 300 & 400 Series Flashes. Unused. Case & Box. 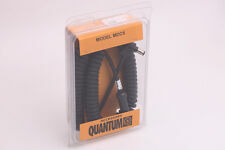 Quantum Extension Cord QB-22 10ft For Quantum Battery 1. Unused. Box & Manual.